Read our For Sale by Owner – The Essential Guide. Here, you’ll find lots of tips to help you prepare for the job of selling your house. We will show you how to avoid leaving your equity behind. We will cover marketing tips, pricing, negotiating, seller disclosures, title companies, and a whole lot more. Before we start, let me ask you something. Do you know what exactly a “For Sale by Owner” real estate listing is? Well, it is a real estate listing where the homeowner tries to sell their home all by themselves and without taking any help from a real estate agent. For Sale by Owner – So they put signs and wait for offers instead of contacting their local real estate office. As a homeowner, you may think that selling your home on your own can help you save money. However, this is not always the case. You may end up losing cash in the process. Transactions of homes “For Sale by Owner” generally result in a hefty cut in price which is about 28% less than what may be by contacting a real estate agent – according to U.S. National Association of Realtors. This shows how a little saving on the real estate commission can lead to cost you a lot in the actual sale price. So you may ask, why do people prefer buying homes that are listed by real estate agents? Well, the agents not only have accurate appraisal tools for assessing the right value of the home but also have a lot of access to current data that is evolving the housing market. Of course, homeowners can do market research and check prices of homes that are similar in style. However, their efficiency will be much less than a professional agent who has rich databanks containing all the useful information. Apart from this, homeowners don’t ask enough for their property. Now, if you don’t ask for it, how can you get it? Most real estate agents are great marketers. To generate fast sales, they provide the homes with all the required exposure. It is not always enough to publish classified ads in newspapers if you want to tap into more interested customers. So the real estate agents use various other means to create interest in a property such as making use of the internet, word of mouth and Multiple Listing Service or MLS. In fact, many “For Sale by Owner” home sellers are willing to pay their realtor’s commission. Often this is because, a real estate agent has all the tools, with the help of which they can market the home effectively and has all the required skills to manage visits, open house dates, deal closings, home inspections and much more. 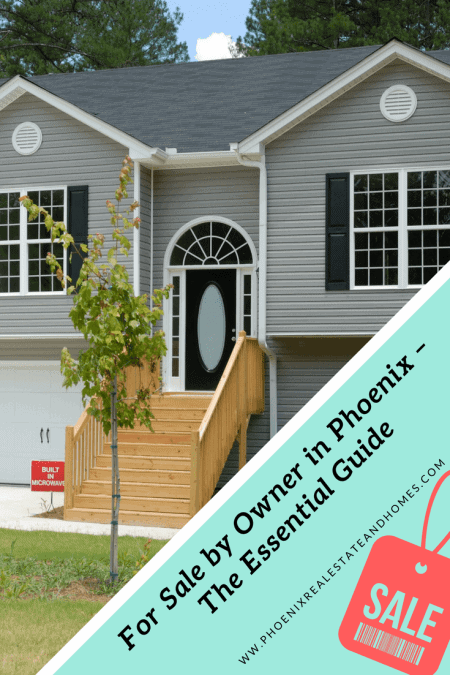 In case you want to sell your home yourself, think again and contact a Phoenix realtor. Of course, selling your “For Sale by Owner” home yourself comes with some perks. Remember, to automated computer valuations (including Zillow Zestimates) can be as accurate as an in-person valuation. Why? The computer has no idea how your home compares to your neighbors home. It knows what homes are similar in size that have sold near you. It doesn’t know how yours stacks up against these other homes. Maybe you have recently remodeled your home. Maybe you need to do major work. Either way, the computer does not have that data. The very first thing that you should consider while selling your “For Sale by Owner” home is pricing the property correctly. Take your time and study the recent sale statistics for homes that are in your area as well as areas that are similar to yours. This process will give you a clear understanding of more realistic market value. Look at all the similar homes that are listed or sold in the same neighborhood over the last three months. The list should have all the homes that are within a ½ mile or a ¼ mile. You can make use of the online tools that are available to buyers so that you can learn all you can about your competition. This way, you will get to have expertise in the market. Also, you may find comps that your agent missed. If you were a buyer, what are the things that you would have valued the most in a home? Is it an updated kitchen or a view? Your buyers are going to appreciate the same things as well. So adjust your price accordingly. You need to look for reasons why these homes failed to sell and what are the common factors that they share. This way, you can take preventive measures so that your home does not become an expired listing. The majority of buyers tell their agents that they want a four-bedroom home in a particular neighborhood under $600k (or some other amount). The agent then sets up a search using an automated buyer search for properties under $600k. So if you advertise a property for sale at $610k, there is a good chance that the buyer will miss it. To prevent this problem, you need to price it carefully. 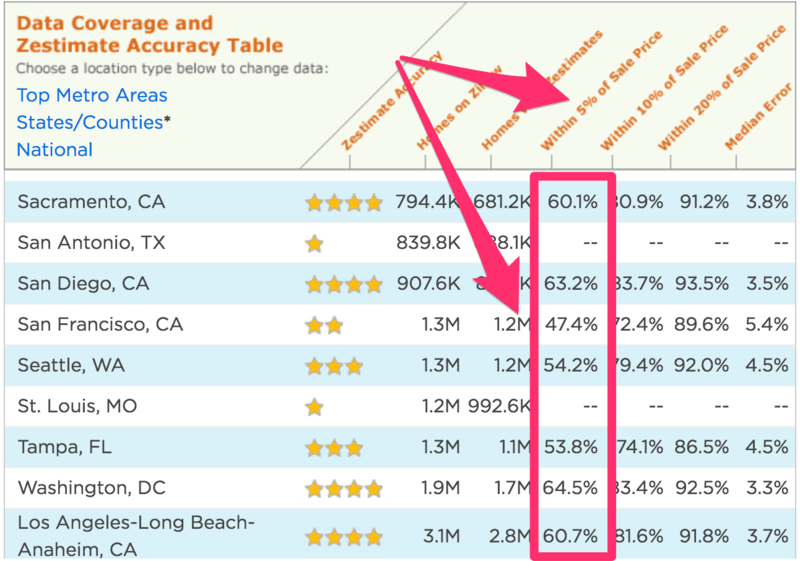 Zestimates only realize how your home compares in size and location. Zillow has zero idea how your home stacks up against the home that just sold around the corner. This could be a BIG deal if you have recently remodeled your kitchen and installed a new roof and air conditioner. Zestimates are admittedly not accurate enough to use for determining a fair market value of your house according to Zillow’s own disclaimer. Study the table below to see why…. 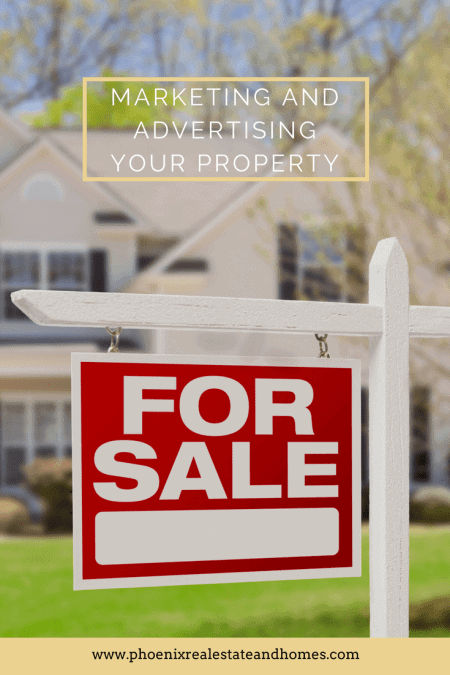 In this digital age, if you want to market and advertise your home ” For Sale by Owner”, the first thing that you need is to go online. Want to attract customers? Put your home on a leading MLS. Also, if anybody searches using some basic descriptions such as “three bedrooms” or “house for sale in Phoenix,” your home will pop up. This one detail will make your “For Sale by Owner” home selling easy. 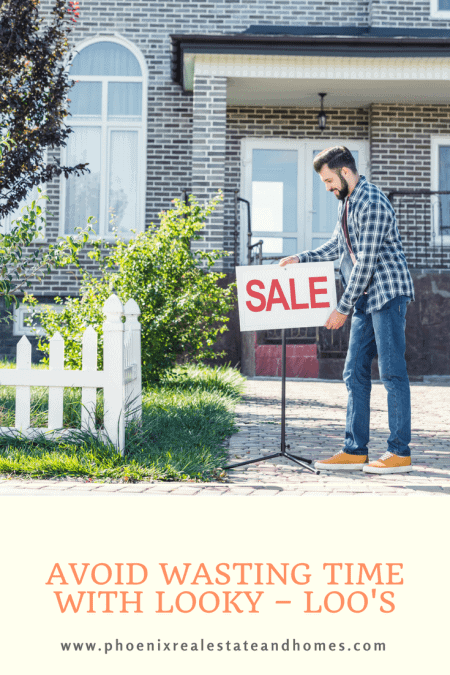 To make people know that your home is for sale, you can place a ” For Sale by Owner” sign in the front yard of your home. Make sure that the sign is well designed and clear enough to be seen from a distance. Sending electronic flyers has become very easy with technological advancements. You can also include interior and exterior photographs of your home. You can send the e-flyers to your friends, family, colleagues, real estate agents who sell in your area and also brokers of other regions who represent buyers in your area. You need to outline the different selling points of your home such as the number of bedrooms/bathrooms, square footage and any other amenities including a spa, pool, etc. By doing this, you will help in attracting some buyers. An excellent way to showcase your property is to hold an “open house”. It provides a friendly environment in which the potential buyers can see if your home fits their requirements. To keep track of visitors, you can have a sign-in sheet. This action can help you follow up with any prospective buyer at a later date. It is true that the buyer is a guest in the house, but you should make the buyer imagine owning the home. The buyer won’t open doors with you standing there or talk about the house in front of you. So it’s better that you leave. You want your house to sell, right? So give that extra effort to make it attractive. Turn on soft music, place two glasses of champagne on a nearby table and light the fire in the fireplace. Having the decor in your home looking tops will get buyers excited when visiting your home. Open all the window coverings to let the light into the rooms. You can even display some seasonal photographs showcasing leaves bursting in color, flower gardens or snow-covered lawn in a prominent position. If you are still residing in the home that you want to sell, then it can be difficult for you to show all the positive features of your home to your potential buyer. Still, make sure that every room in your house is spotless at all times so that there is nothing to dissuade a potential buyer. When you have a potential buyer for a visit to your home, turn on every light including the closet lights and appliance lights. This alone will brighten up your entire home and make it more desirable. You may face difficulties to sell your property. The level of your difficulty increases if you are a homeowner who wants to sell his/her home “For Sale by Owner”, without the involvement of any real estate agent. As a home seller, you want to seal the deal as early as you can, isn’t it? So, you should make sure that you are entertaining only genuine buyers. 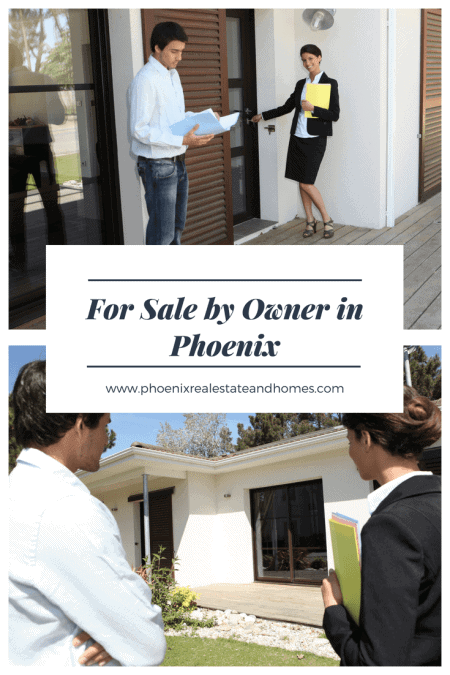 For the majority of home buyers, buying a home in Phoenix is like a dream come true. They would neither ignore your phone calls nor be late for visiting sites if they want to buy the home. If a buyer is genuine, s/he should have no problem in sharing their professional and personal detail that as a home seller you have the right to know. In case you think that the buyer is keeping things from you, end the negotiations at an early stage. A genuine buyer would like to move into their future house as early as they can once they want it. However, in case a buyer tends to delay the whole process make excuses every time they are called, be sure that they are here only to know everything about the home buying process and not to buy. Even after you have accepted the offer that the buyer has made, if s/he is still not on board with buying the property, this means they are not here to buy your home. Steer clear of this sort of people, as they are just wasting your valuable time. Negotiating the sale of your home in Phoenix is not always as simple as it sounds. Remember that each buyer, as well as their offer, is unique. Offers that come in need to be evaluated depending on the criteria that you have established while establishing the sales price. With all offers, what you need to do is assess the various concessions, exclusions as well as the contingencies within, so that you can understand exactly how much cash you will get when the transaction closes and how they are different from one another. 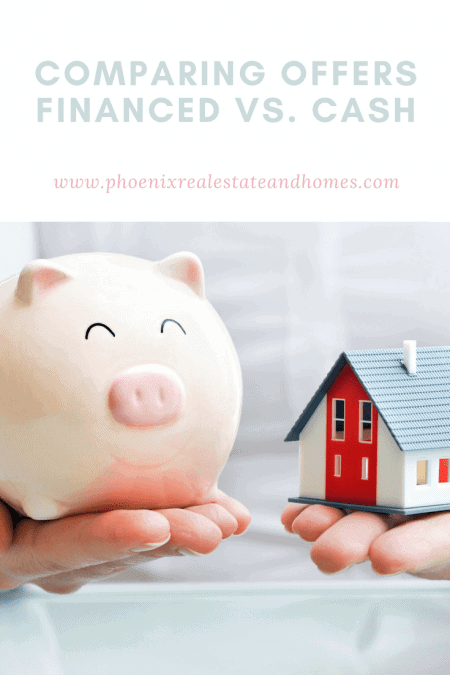 In Phoenix, many homes sell as cash purchases. You may have heard that money is king. However, in real estate transaction, you always need to determine what is the context of the offer and also the ability of the buyer to close the deal. They say that a cash offer should always gain attention because most home sales fail to close due to the failure to obtain financing. Is financed buyer a risk? You will probably come across many buyers who are pre-qualified for a loan. However, these pre-qualification letters are not always as strong as they are just a glance at a potential buyer’s credit. These buyers pose a risk to any home seller. It is true that a pre-approved buyer has passed the bank’s extensive financial checks such as earnings, credit ratings, and debt-to-income ratio, but these are not final approvals. A full price cash offer without any contingencies and closing in not more than two weeks is the best offer. Of course, it is not very often that you come across such proposals. Finally, we recommended that you take your time, review the number, and you will be successful in selling your home ” For Sale by Owner” at a reasonable price. In real estate, it is a standard practice to paint their home before it up for sale. It makes the property look best. In most cases, homeowners paint the house so that they can cover up things that can have a negative impact on the buyer. The real estate discloser comes in handy at this time. It gives the buyer the opportunity to know everything about the property. A seller’s disclosure is essential as there is some information that you need to disclose by law. What exactly do you need to disclose to a potential buyer? Previous upgrades or renovations and improvements all need to be out in the open. Also, you should include the cooling and heating systems and any known issues, proximity to game lands, zoning restrictions and how sewage and water service rendered. You should consist of if the work was performed without permits. Other standard disclosures contain the presence of termite problems, pest, neighborhood nuisances and malfunctions or defects with major appliances or systems. Make sure always to be completely honest so that you can avoid trouble down the road such as a potential lawsuit. List anything and everything that might be a problem for someone else. This way, there will be transparency in the whole process from the very beginning. When do you need to provide the buyer with the disclosure statements? You need to provide the home buyer with the disclosure documents after you have agreed to their offer. The buyer gets the opportunity to check the disclosure. In case the buyer gets to know something unfavorable about the home through the seller disclosure forms, s/he can back out. Being profoundly accurate is why it becomes all the more vital for you to let the buyer know everything about the home – negative or positive – from the start. It will save everyone’s time and hassle. As a homeowner, when you are trying to sell your home without any intervention of a real estate agent, you require writing a contract regarding the sale of the property. Commonly known as “For Sale by Owner” or FSBO contract, this type of deal outlines the terms and conditions of the transaction in detail along with the obligations and rights of the buyer as well as the seller. Name of each party: You should state the full name of both buyer(s) and seller(s) along with their marital status. Give a title: To make the purpose of the contract clear, you need to give a claim to the deal placed at the very beginning of it. Give a date: To protect both the parties, it is essential that you date the contract. Provide a full description of the real estate: In the contract, make sure to state the common residential address as well as the complete legal description of the property. Supply the detail if any personal property is included in the sale: Name and describe every item of your “personal property” in the body of the contract. Space for signature: There should be a place at the end of the contract for the signature of the buyer and the seller. Write the total buying price: Each ” For Sale by Owner” contract must include the full final sales price. State the process of payment: There should be a full description of how the buyer will pay the total buying price. Description of how the parties will pay property taxes: State which installment will be paid by which party. 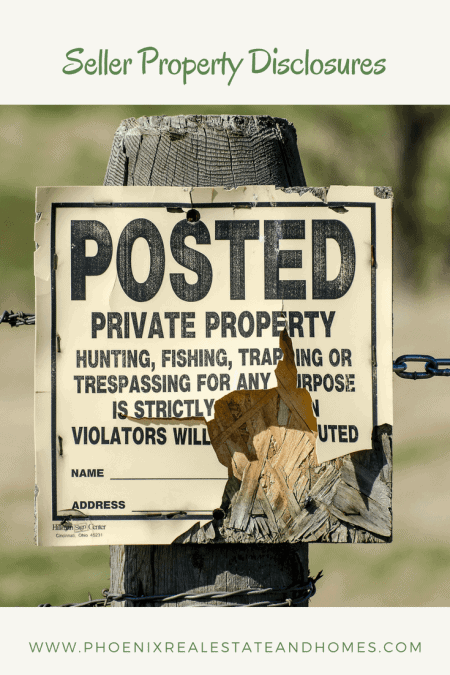 Description of restrictions on the property: Say if there are any homeowner’s association restrictions on the property. Provide property disclosure: Give the buyer all the needed disclosures. State closing costs: As agreed between the parties, allocate closing costs. Write the date of possession: Include the date on which the buyer can take possession of the property. Real estate inspection is something that the sellers dread. 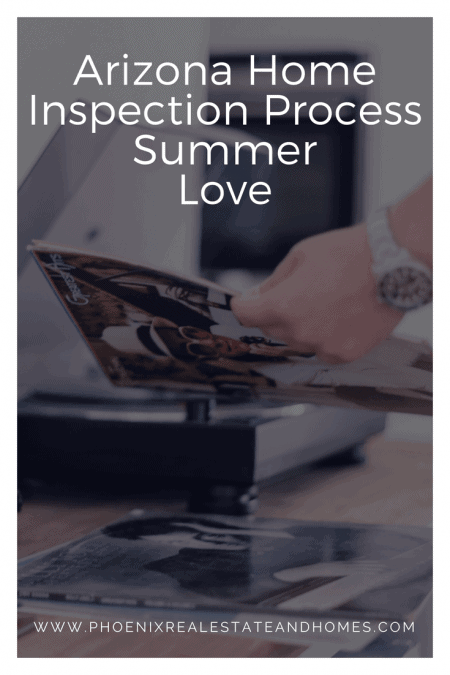 The home inspection process in Arizona can reveal the present as well as potential future problems of a property that you are planning to buy. To begin the process, the first thing that you need to do is select one of the best home inspectors in Arizona. S/he will then take care of the remaining process. The building site, as well as the structure, are always surveyed including the walkways, retaining walls, chimneys, driveways, the foundation, the roof and all the major systems. The attic along with the roof is always studied, covering everything from ventilation to skylights. If there is a garage, it is also going to be inspected by the home inspector. Electric and plumbing inspections should be included. Some other areas that are covered by home inspectors in Arizona are air conditioning and heating system. As a homeowner, you have to help an inspection to go smoothly. 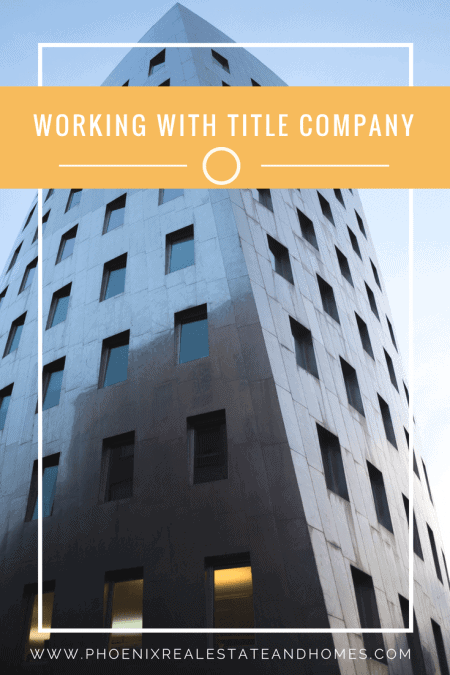 What a title company do is make sure that the title of the property is legal, after which they issue title insurance for that company. This will make the buyer stress-free, as they can be sure that if they buy the house, they will be the legal owner of it. To make sure that the owner is genuine, this type of company does a little research. They thoroughly examine the records of the property. They ensure that the company or person, who is demanding that the property is theirs, is right. This is designed to make sure that no other person can claim partial or full ownership of the home. It is often that the title companies maintain escrow accounts which contain the funds that are required to close on the home. A settlement agent from the title agent company brings all the required documentation at the closing, explain it to both the parties, obtain closing costs and distribute monies. In the end, this type of company makes sure that the deeds, new titles and other documents get filed with the appropriate entities.